A letter in response to the Arlington House Residents Association (AHRA). Arlington House Residents’ Association (AHRA) is absolutely right that Thanet District Council needs to enforce the terms of its lease vigorously. I agree that the future of the site should be brought to full council as a matter of some urgency and think that MRPL’s wider management of the site is appalling. My running partner for Margate Central Louise Oldfield was recently provided with a Cabinet report that spelled out what TDC saw as the enforcement options. The council’s legal officer who wrote the document was bearish on the council’s potential legal ability to wrest control back of the site, by forcing forfeiture of the lease. He described the protections afforded by Section 1 of the Leasehold Properties Repair Act (1938) and subsequent amendments as likely to undermine any such move by TDC. I see no harm in sending a ferocious shot across Freshwater’s bows at the bare minimum however, given the state that this leaseholder has allowed the site to fall into, not to mention the fact that it has let upwards of 30 flats sit empty for decades. Twenty seven remain empty, amid a housing crisis. I wrote to the leaseholder’s Steve Adams about the state of the site recently. Your concern is noted and reflects our own concerns following the delay to the planning process. We are still pursuing Plan ‘A’, but if this does not, for any reason, come to pass, we are obviously in discussion with Thanet District Council [TDC], Kent County Council and various other organisations in relation to alternatives. Rest assured, we are doing all we can to implement the current planning permission, which should, in my opinion, bring into play significant advantages/benefits to the residents of Arlington House and thereon presumably the residents of Margate generally. We are as well, also in discussion with the Residents Association of Arlington House and TDC about plans to carry out repairs, also involving the external managing agents. We need to consult with the residents and are in the process of consulting, but these have not been finalised, so I cannot outline any decisions, until this process has come to an end. The managing agents have also organised for various surveys to be carried out to the external elevations, the results of which should be available towards the end of May. Plan ‘A’ being for a supermarket. I presume that – given Tesco has dropped its plans for the superstore – the leaseholders are either talking to another large supermarket or in discussions with Tesco about a smaller store for the site. I am not opposed to a smallish supermarket presence on the site, but think it should work with the existing design footprint; for example by taking a row of the shops, allowing the others to be leased to independent stores, if there’s market interest. I am a big fan of architect Sam Causer’s suggestions as illustrated here and would be a firm supporter of such an approach to the site. 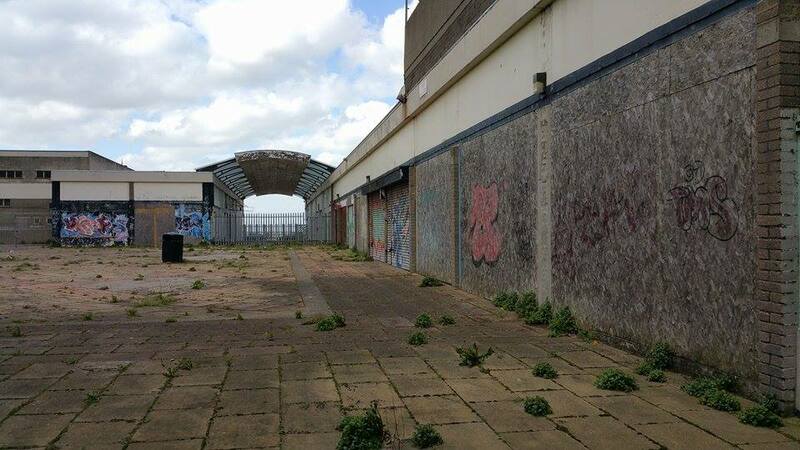 Given the imminent opening of Dreamland and Thanet’s considerable traffic and parking problems in summer, I would like to see the car park be made available to the public as well as a matter of urgency. Let me know if there is anything further I can do to help to help hold the leaseholders and the council to account for there mismanagement of this Margate landmark that could be so much better looked after.